It has been reported that Essential’s next smartphone-related product may be saturated with enough AI technology to enable users to have a full-fledged virtual assistant in their pockets. Apparently, there is a prototype in the works, and it could even see the light of day at the 2019 CES event in January. It's unlikely it will be a successor to the Essential Phone PH-1 though. According to sources speaking to Bloomberg, Essential is working on a product that could take AI utilization to a whole new level in the smartphone/gadget arena. 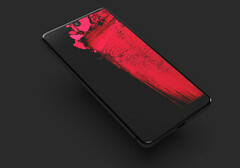 Andy Rubin, the company’s founder, claims that Essential is focusing on a device with such complete AI integration that it would be capable of learning its user’s behavior and schedule to a point that it would enable the owner to focus on more relaxed pursuits without having to be constantly aware of notification pings going unanswered. However, it does seem that the device in question won’t be a successor to the Essential Phone PH-1, and it may not even be a traditional smartphone at all. Although you will be able to make phone-calls with the product, it appears that it may end up being promoted as an additional assistant to an already owned device. It has been pointed out that this could be difficult to market, as Essential may try in vain to encourage users to lug around two devices instead of just one. Apart from the possibility that the mysterious Essential device could spearhead some kind of AI revolution (the project has been compared with the Spike Jonze movie Her, which features an OS so advanced it is capable of engaging in full-formed human relationships), there is little else known about the gadget. Rubin and Essential desperately need to make a massive splash in this unforgiving market, as both the Essential Home smart speaker and Essential Phone PH-2 seem to have been all but forgotten.